Now, horse riders complain quiet EVs are a safety issue. Would another horse rider coming up behind also be too quiet? What is next, dog walkers unite to make EVs ice-noisy? con$ervative media.uk outlet is enjoying koch funding. pose to horses on the roads. as the use of environmentally friendly vehicles increases. either going past or accelerating from a stop”. rural roads?” Mr Hoare asked the transport minister on 14 February. “importance that we place on close passing”. hybrid electric vehicles from July this year,” he said. making the horse “go bananas”. The new guidelines will not apply to vehicles on the road before July 2019.
numbers of quieter electric cars. 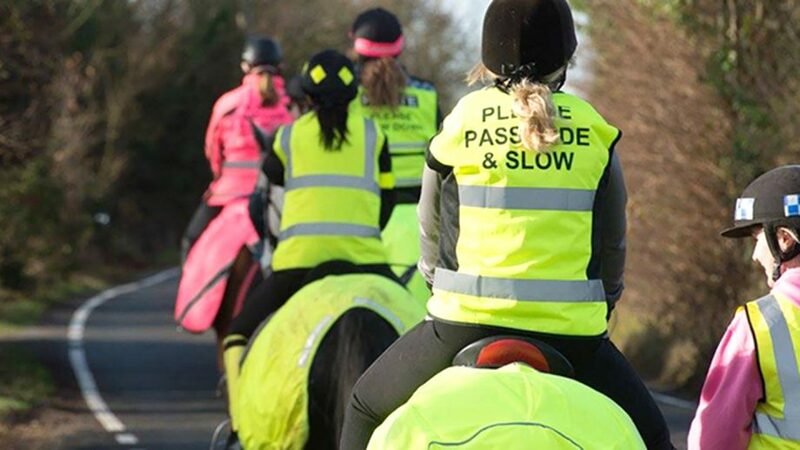 needs of horse riders on the public highway. "The rise of electric vehicles is, of course, environmentally welcome. importance placed on the avoidance of close passing. He added that the area was being reviewed by the Department for Transport. > pose to horses on the roads. > as the use of environmentally friendly vehicles increases. > either going past or accelerating from a stop”. > rural roads?” Mr Hoare asked the transport minister on 14 February. > “importance that we place on close passing”. > hybrid electric vehicles from July this year,” he said. > making the horse “go bananas”. > The new guidelines will not apply to vehicles on the road before July 2019. > numbers of quieter electric cars. > needs of horse riders on the public highway. > "The rise of electric vehicles is, of course, environmentally welcome. > stop," said Mr Hoare. > importance placed on the avoidance of close passing. > year," said Mr Norman. > He added that the area was being reviewed by the Department for Transport. be frightened by the noise of the cantankerous gas cars circa 1900.
the new element is not a threat. can move smartly without the ICE running. generation of OEM EVs because they pollute the soundscape. > either going past or accelerating from a stop?. > rural roads?? Mr Hoare asked the transport minister on 14 February. > ?importance that we place on close passing?. > hybrid electric vehicles from July this year,? he said. > making the horse ?go bananas?. > [image] Driver caught on camera skidding past horse at speed gets ?advice? > welcomed, as does less reliance on fossil fuels.? > produce a noise at low speeds. ?